Minette Walters, née Jebb, was born to a British military family and spent the first 10 years of her life moving between army bases in England. Following the death of her father, she spent a year at the Abbey School in Reading, Berkshire, before winning a scholarship to attend the Godolphin School in Salisbury. In 1968, during the gap year between boarding school and Durham University, she went to Israel as a volunteer, working on a kibbutz and in a boys’ home in Jerusalem. 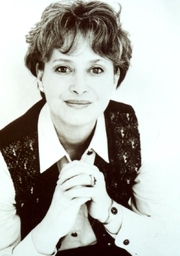 She graduated from Durham University in 1971 with a bachelor's degree in French. In 1978, she married Alec Walters, whom she met at Durham, and the couple have two sons. She joined IPC Magazines as a sub-editor in 1972 and became an editor of Woman’s Weekly Library the following year. She supplemented her income by writing novellas, short stories and serials. In 1977, she became a full-time freelance writer for newspapers and magazines, while continuing to write fiction. Her first full-length novel, The Ice House, was published in 1992 after being rejected by numerous publishers -- within a few months, it won the Crime Writers' Association John Creasey Award for Best First Novel and been optioned by 11 foreign publishers. Her next two books, The Sculptress (1993) and The Scold's Bridle (1994) won Walters the Mystery Writers of America Edgar Award and the CWA Gold Dagger, respectively. She was thus the first crime writer to win three major prizes with her first three books. She's now England's bestselling female crime writer. In 2008, BBC2 aired "Murder Most Famous," a five-part TV talent contest series in which Walters tutored and judged six competing celebrity writers, with the winner to have his or her crime fiction novel published by Pan Macmillan on World Book Day 2009. The series was won by the actress Sherrie Hewson with her debut novel The Tannery. Minette Walters's book The Cellar was available from LibraryThing Early Reviewers. Minette Walters is currently considered a "single author." If one or more works are by a distinct, homonymous authors, go ahead and split the author. Minette Walters is composed of 13 names. You can examine and separate out names.